Has your car broken down by the side of a busy road? Struggling to get your engine to start and need to get it towed to a local mechanic? Silverline Towing’s flatbed towing is the ideal solution to transport your vehicle in Hayward. We employ only the most professional, experienced technicians and equip them with cutting-edge equipment — giving you the highest quality of service every single time. We know how important your time is. If your engine starts to play up ahead of a crucial business meeting, even the smallest delay can have a seriously detrimental impact on your schedule. The same is true if you need to pick your kids up from school or reach the airport for a flight. In each case, Silverline Towing is committed to the fastest, most efficient service. We value your time and ensure our technicians reach you as fast as they possibly can. Every technician we work with is local and knows the city well. Their knowledge of shortcuts and traffic patterns means you’ll have minimal wait for your flatbed towing. Silverline Towing – Safe & Secure Towing Service! Flatbed towing is regarded as one of the safest, most secure towing methods. Your vehicle rests on the back of the tow truck for the entire journey, having no contact with the road. Our technicians will put your car up onto the flatbed truck with the utmost care and respect. 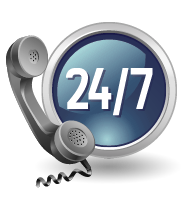 This service is available 24 hours a day, 7 days a week, 365 days a year — any time of the day or night, weekday or weekend, we’re just a phone call away! This is crucial, as your vehicle can break down or experience mechanical issues round the clock, no matter how inconvenient it may be. Being unable to get where you need to can not only be incredibly frustrating, it might actually affect your everyday lifestyle. After all, if you can’t drive, you can’t fulfil your responsibilities. Competitive Prices You Can Trust! Silverline Towing is passionate about giving every customer in Hayward the most competitive rates for flatbed towing. We strive to keep our prices low without sacrificing any of our services’ quality — we respond to every call for flatbed towing with a high standard of professionalism. Our technicians are all local experts and committed to 100% customer satisfaction. Our team is made up of licensed drivers and roadside assistance specialists, all receiving the finest training with the latest techniques. When you call us for flatbed towing, you can rest assured that your vehicle will get exactly where it needs to quickly, safely and efficiently. We have invested in excellent tow trucks and equipment to reinforce the quality of our flatbed towing, and our technicians bring a friendly, helpful attitude to each call out. Want to learn more about Silverline Towing’s flatbed towing service in Hayward? Please don’t hesitate — just pick up the phone and give us a call now!